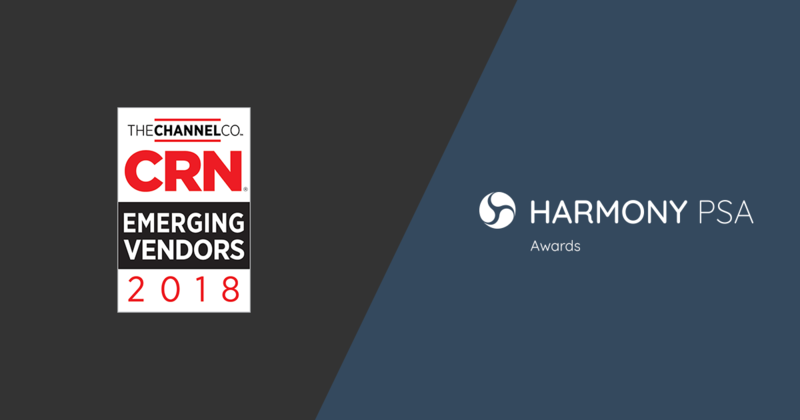 LONDON – July 23,2018 – Harmony PSA, the industry’s most comprehensive cloud PSA software, announced today that CRN®, a brand of The Channel Company, has name Harmony PSA to its 2018 Emerging Vendors List in the Cloud category. This list recognizes recently founded, up-and-coming technology suppliers that are shaping the future of the IT channel through unique technological innovations. The list is divided into seven categories: Cloud, Data Center, Security, Big Data, Unified Communications, Internet of Things (IoT) and Storage. In addition to celebrating these notable companies, the Emerging Vendors list serves as a valuable resource for solution providers looking to expand their portfolios with cutting-edge technology.